Makeup is generally the saving grace for anyone who has acne, acne scars or blemishes. Using a foundation gives you the confidence to feel good and look good. Makeup effectively smoothes out your skin tone making blemishes and acne scars less visible or it might even be able to hide them completely. As good as this sounds though, using makeup to cover acne might be preventing you from having clear skin. Makeup is not the cause of acne and neither does it make acne worse. But there are some times it might be bad for your skin. 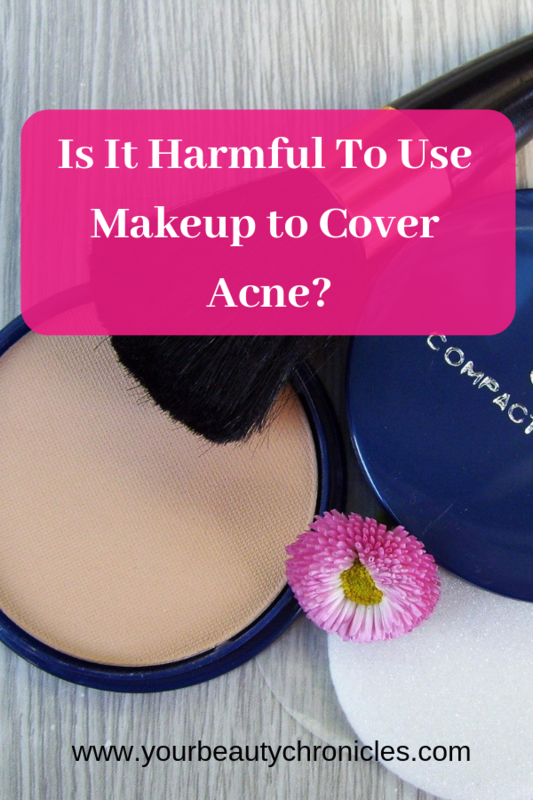 In this post, I’m going to tell you when it is actually harmful to use makeup to cover acne. Let’s get one thing clear first. Makeup does not cause acne. If you have mild acne you can safely use makeup. If you have one or two pimples on your face, you can safely use makeup. However having said that, please remember that whichever it is, whether you have acne or if your skin is clear, always use good quality makeup that is not old or out of date. Skin care is not the place to be stingy. Okay, I know what you’re thinking and I’ll say it. And I agree!! I mean I don’t want to sleep with sticky, clumpy stuff on my face. It’s bad enough during the day itself when I have to spend an hour walking around trying to keep a straight face because I have something applied to my face. Either I’m trying not to get it on my clothes or I’m hoping that the noise I heard outside my door is not someone who has unexpectedly dropped by. My mistake though was assuming that all face masks are created equal. That they are meant to be on my face for 1/2 an hour to an hour and are all meant to have a paste-like texture. Face masks don’t have to look the same. They don’t have to have the same texture. They can be liquid or paste-like. But the one thing that is common, is that they do have to work. And the face masks that you use at night have to do the same thing that the day ones do. 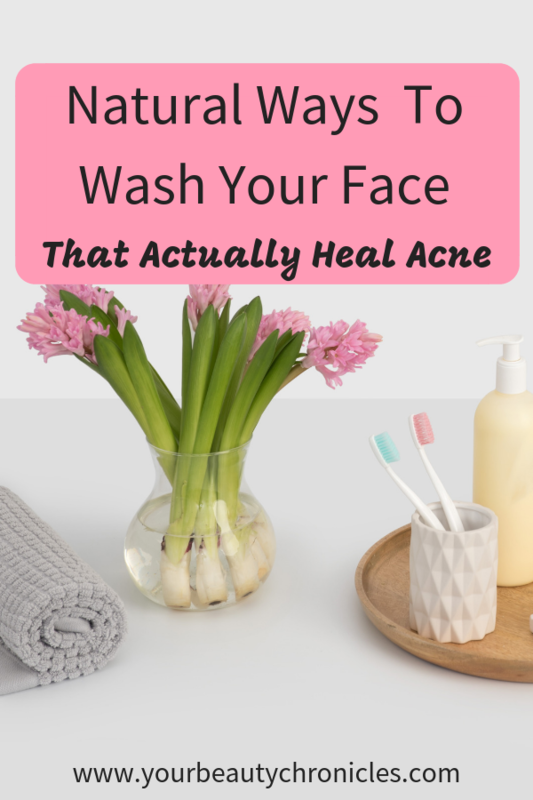 HEAL YOUR ACNE! You don’t have to use an overnight mask. But sometimes life gets a bit overwhelming. You’re left with no time to pamper your skin during the day. There’s really no time to sit around with a face mask. Or maybe you did have time, but you just didn’t feel like doing it. Or just maybe you need something that works on your skin while you sleep. Whichever it is, I got you covered. 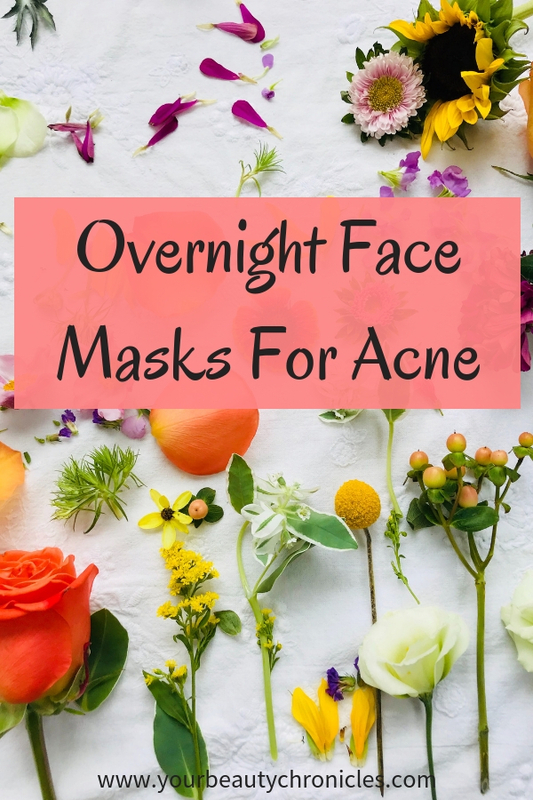 Here are some overnight face masks for acne. Some of them may look and seem more like toners. They do what they are supposed to do though and that heals your skin while you get your beauty sleep. An overnight face mask is not like a normal regular face mask. First of all, it should not disturb your sleep. Apply a honey face mask on your face overnight and trust me, you’re not going to have a very good sleep. The honey will get into your hair and make it stick to your pillow. Or worse the honey might get into your eyes. It’s no fun trying to get honey out of your hair or eyes at night. Secondly, you don’t want to dirty either your hair or your pillow. The next morning should be spent getting ready for the day ahead, not scrambling around changing sheets or having to wash your hair because it is all dirty and messy now. With these 2 things in mind let us get down to the masks themselves. Now as I said before some of these masks may be liquid and not look a mask, but they do what they are supposed to do and that heals your acne. These masks are very simple and easy to make. They contain just 2 ingredients and the plus point is that they can be stored in the refrigerator to use every night. The way to use these masks is to apply them to your freshly washed face at night. If you have already washed your face before just splash some water on it. Pat dry. Apply the mask to your face. If the mask is liquid, you can either use a spray bottle to spray the mix on your face. Or you can pour a small amount into your palm and pat all over your face. I do not recommend you use a cotton ball to apply the mask. The reason being that the cotton absorbs most of the liquid and hardly anything gets onto your skin. Now you can either sleep with just the face mask or you can apply your normal moisturiser or a drop of oil after. If you are applying a moisturiser, let the mask sit on your face for about 2 minutes before you apply it. I have to admit it. I stayed away from using aloe vera gel for a long time. My biggest mistake was trying to use the fresh gel from the leaf. Well, I learned that while the fresh aloe is the best, it’s not for everyone. It was messy and it sat very weirdly on my face. If you use fresh aloe, great. If not, then an organic unscented pure aloe vera gel might be just what you need. I recently bought myself a tube. It was not for me but for my son who got sunburnt. On a whim, I just used it one night to see what it was like. It was nothing like the fresh aloe gel I had used. It went on smoothly. I kept using it every day and after 2 weeks of continuous use, I can see a lot of changes in my skin. It is less red and no longer flaky. My old acne scars which I had given up on are fading and skin tone is so much better. To make this mask, take a small clean jar and put about an inch of gel in it. Make a circle with your thumb and forefinger. That is about the size of the aloe vera gel amount. Now add 2 drops of tea tree oil into the jar. Now take a clean toothpick and using the fat end stir the mixture well. You can keep this mask outside at room temperature or in the refrigerator for a cool treat. Mint is very cooling, soothing and is fantastic when it comes to healing acne. A blend of concentrated mint and cucumber juices are just amazing for overnight use. Chop up half a cucumber (about the size of your forefinger). Put this in a blender. Add a handful of mint leaves, which have been picked from the stem and washed well. Blend till it forms a pulp. Put this pulpy mix in a fine sieve. Basically, you just want the liquid of the pulp and none of the bits and pieces. Pour the liquid into a clean bottle. Store this in the refrigerator and use whenever needed. Neem has long been known for its anti-inflammatory, antibacterial, anti-fungal and antiseptic properties. It helps heal acne and also prevent acne from forming again. 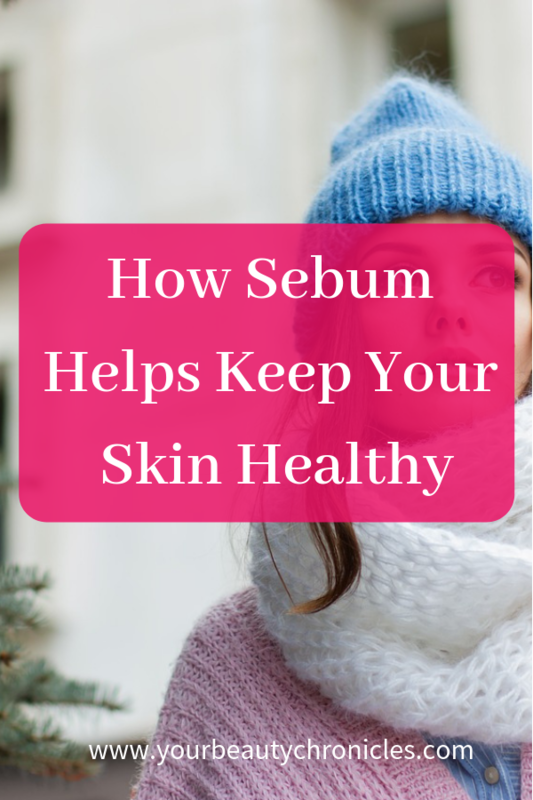 This makes the neem leaf an amazing product to use if you have acne. Now, normally you would use a paste or powder of the neem leaves. Since we can’t do that overnight, we’re going to make use of the neem juice. Make half a cup of green tea. Pour half a cup of hot water over a green tea bag. Let it cool. Once cool blend the green tea with a handful of neem leaves ( about half a cup ). Pour this mix into a sieve. Pour the resulting dark green liquid into a clean bottle. Store this in the refrigerator and use when needed. Blend a handful of mint leaves which have been picked and washed, with half a cup of rose water. Pour the mix into a sieve and collect the liquid. Store this liquid in a clean bottle. I accidentally stumbled onto this mask. I had ground up a whole lot of flax seeds, intending to sprinkle it on oats and on salads. Well turns out, you don’t need much of it to sprinkle. Just half a teaspoon will do. Then one day, don’t ask why, but I soaked a bit of the ground flax seeds as someone had said they can be used as a substitute for eggs. Turns out, when soaked, ground flax seeds turn into a gel-like paste, somewhat like egg white. As usual, I wanted to see what would happen when I applied it to my skin. I applied the whole mix to my face and kept doing it for 2 weeks. What I found was that my acne healed faster and my pores looked smaller. Now, I have to tell you that making this mask is a bit messy. Well, a lot messy. But hey, all good things take a bit of work, don’t they? So here’s how you make it. Soak 2 teaspoons of ground flax seed in half a cup of warm water. Let this soak for about half an hour. If you feel the liquid is getting absorbed, add small quantities of water. After about half an hour of soaking, you will see that it has formed a gel-like paste. Sieve this liquid, so you’re left with only the gel. Rub the ground seeds so that the gel passes through the sieve. Save this liquid in a glass bottle. Add 4-5 drops of rosehip oil to this and shake well. Store in the refrigerator. This mask is only if you are comfortable using oil on your face. If not, never mind. You have 5 other masks to choose from. The ratio of oil for this mask is for every 15 drops of jojoba oil, you need to add one drop of tea tree oil. To use place 4 drops of the oil blend in your palm. Apply all over your face gently. You don’t really need to apply a moisturiser after using this oil blend. Jojoba oil does a pretty good job of moisturising your skin.